Home » Bollywood News » Judwaa 2: It's Varun Dhawan, David Dhawan and Sajid Nadiadwala. Will Kareena Kapoor be roped in? Sajid Nadiadwala and David Dhawan are back with the sequel of Salman Khan-starrer Judwaa. The two have announced their plan to expand on the story of the 1997 film, which saw Salman Khan playing a double role as twins who were separated at birth. Varun Dhawan will play the lead character in what will be his first ever double role. The pre-production work on the film has already begun. While the male lead has been finalised, the look tests of the rest of the cast are still happening. According to the information from the makers, several look tests have already taken place in Los Angeles. In fact, a major Hollywood studio and a popular director of photography - along with action-coordinator Spiro Razatos (of Fast & Furious fame) are likely to be on board for Judwaa 2. Judwaa, that was released 19 years ago, featured Karisma Kapoor, Rambha, Bindu, Kader Khan, Shakti Kapoor among others. 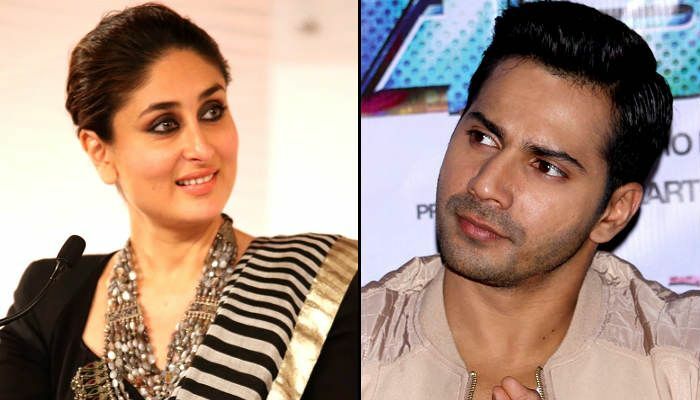 And since Bollywood has been experimenting with fresh pairings of late, it will be exciting to see who is picked to star opposite Varun in order to reproduce the crackling chemistry of the lead pairs in Judwaa. Do you think they should approach Kareena Kapoor Khan? Karisma's sister will definitely add some of the required quirkiness to the film.